Please enter your details below to send a quote request to our hire department. Submitting this form does not guarantee the requested equipment will be available, but we will try our hardest to satisfy your request. Please keep an eye out for an email from one of our friendly hire team members shortly. Terms and conditions apply. A copy of this quote will be sent to your email address. Includes 2x wireless microphones. 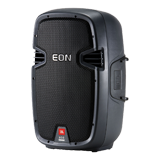 Use the BA-55 as a small wireless PA system in school classrooms, business meetings, restaurants, weddings, intimate music venues and more.